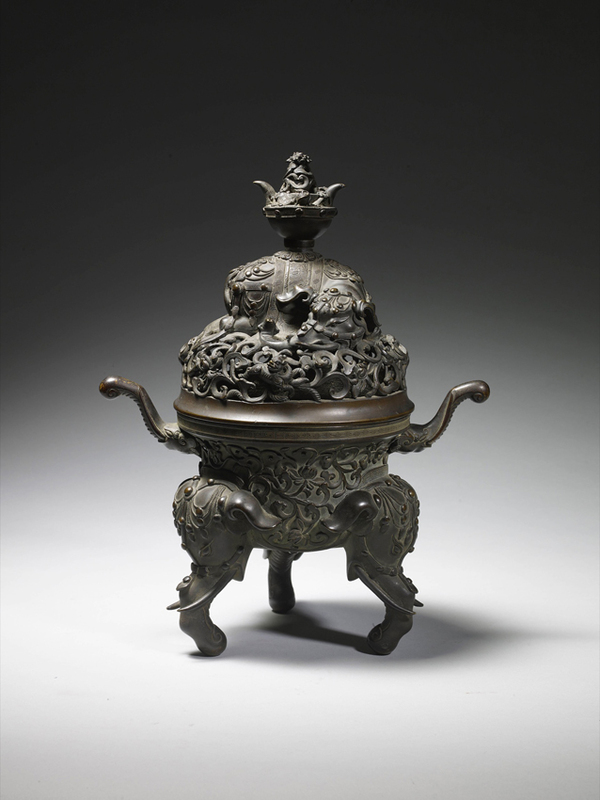 An exceptionally rare Western Zhou bronze, taken when the Summer Palace was sacked by British troops in 1860, has been found in a house in a Kent seaside town. A Western Zhou (1027-771 BC) bronze ying modelled with stylised tigers, estimate £120,000-200,000 at the Canterbury Auction Galleries on April 11. Only six similar archaic vessels or ying are known to exist. The discovery, a seventh with unique and previously unrecorded decoration, will be sold by the Canterbury Auction Galleries on April 11, estimated at £120,000-200,000. 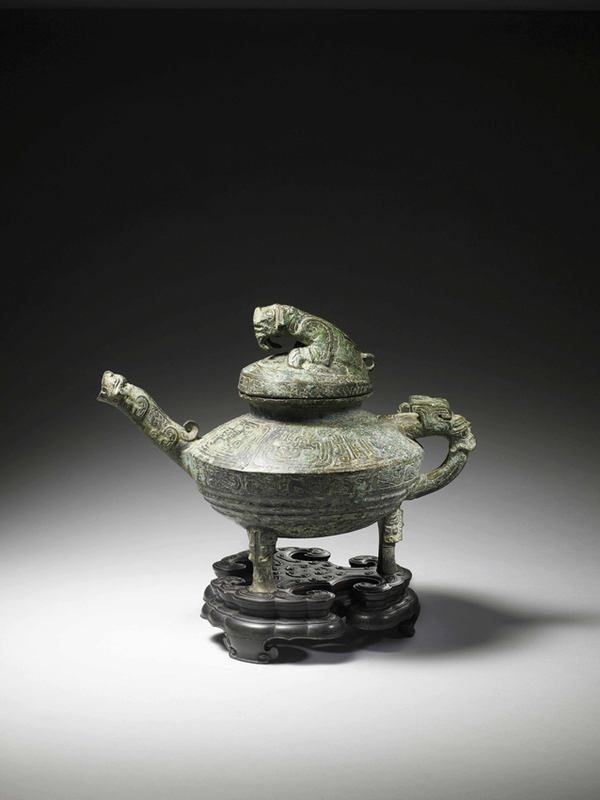 Dating from the period (1027-771 BC), the vessel has been christened ‘the tiger ying’ - a reference to the auspicious felines that adorn the spout and cover. It was found by Alastair Gibson, London dealer and the saleroom’s Asian art consultant, together with three other Qing bronzes and an archive of letters and photographs relating the military history of the Evans family of Fronfelen, Monmouthshire. 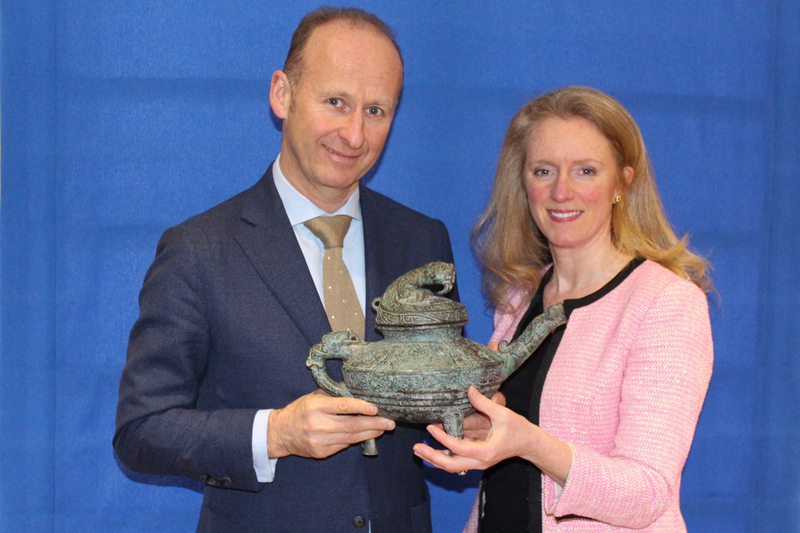 Dealer Alastair Gibson, a London dealer and Asian art consultant at Canterbury Auction Galleries, alongside auctioneer Cliona Kilroy with the Ying. The pottery core of the handle and one foot have been subjected to a thermo-luminescence test in Oxford where it was deemed between 2200 and 3500 years old. It would have been used by a high status individual for washing the hands and face during a ceremony paying respect to the family lineage. Hajni Elias, a Chinese art historian who helped research the vessel, described it as “special and unequalled”. 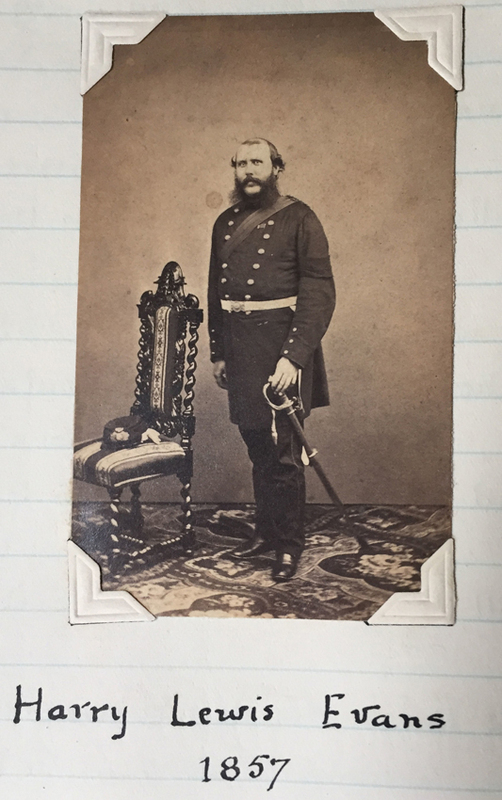 Captain Harry Lewis Evans (1831-83), pictured in 1857, recorded in detail the looting of the Old Summer Palace in 1860. Surviving letters from its erstwhile owner, Royal Marines Captain Harry Lewis Evans (1831-83), give a vivid account of the Second Opium War. A participant in the capture of Canton in 1857, and slightly wounded in the failed attack on the Taku Forts in 1859, in a letter to his mother dated October 17, 1860, he recorded in detail the infamous looting of the Yuanming Yuan or Old Summer Palace. “In the morning came in [the news] that the French had, together with our Cavalry, taken possession of the Summer Palace without opposition, there being only about 300 servants left to look after the place, and a small guard of about 50 men, who of course did not attempt any resistance. “The French got lots of valuable loot in the way of watches, clocks, fur coats, silks etc. The General sent out for all the carts he could find, brought in as much as they could carry, and all the things were sold by auction for prize money for the force. I expect to get about five and forty pounds for my share. Two additional items from the Evans collection will be offered for sale on April 11. 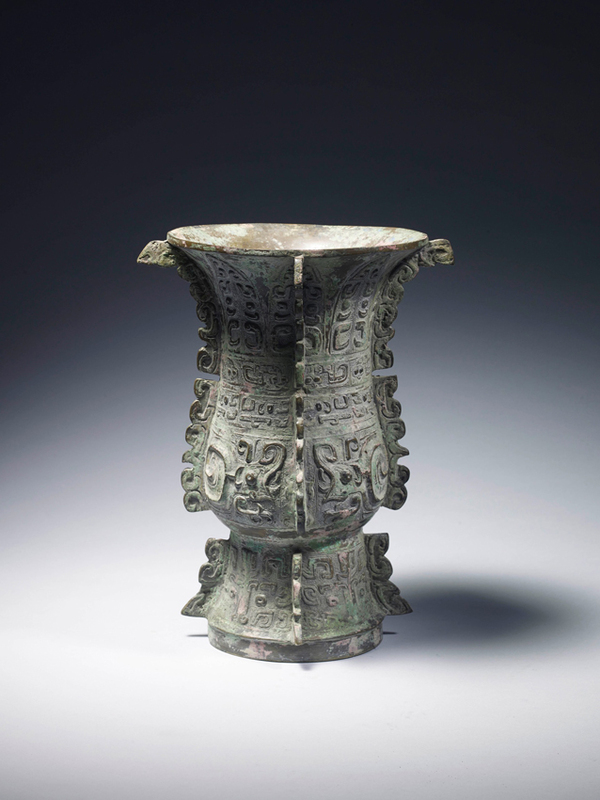 A Qing zun, an archaistic bronze wine vessel decorated with taotie masks and dragons in the Shang style, is estimated at £4000-6000, while two late 17th or early 18th century bronze censers with elephant feet and handles, are pitched at £3000-5000 each.